If you suspect that he hacked the password of your wireless network, or just feel that the time has come to change the password, then this article is for you. Define the interface of the router (the router) and enter it in any browser. In most modern routers the entrance is via a web browser. Routers have IP address. With the help of it you can connect to the admin interface. The following list contains IP addresses to most popular router models on the Russian market: Linksys - 192.168.1.1 or 192.168.0.1 DLink - 192.168.0.1 or 10.0.0.1 Apple - 10.0.1.1 ASUS - 192.168.1.1 Buffalo - 192.168.11.1 Netgear - 192.168.0.1 or 192.168.0.227 Next, a window will appear in which you must enter the username and password of the administrator. The default is admin. If during initial setup router login and password have been changed, it is necessary to remember them, or find their record. If you could not do that, then you have to reset the router to factory defaults. This is done by holding the reset button for a few seconds. If this does not work, visit your device manufacturer or check the attached user manual. Go to "security Settings", and make sure you have the latest version of encryption available. If the option is WEP, you should change it to WPA2. This is the latest version of encryption at the time of this writing. You can also change the wireless network name. It is best to change the name of the default network. Otherwise, the network will crack much easier. Here you need to be creative. Come up with anything original. Create a strong password for the wireless network. Now you need to enter the password for the wireless network. Make it as difficult as possible, using random characters. The more complex the password, the harder it is to crack. 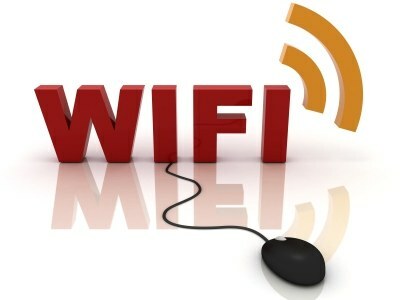 It is also recommended to disable the ability to connect to the router wirelessly. In this case, the router can manage only one who connected to it using Ethernet cable. In this case, nobody will be able to access the router settings without having a direct connection to him.